A very lightweight under quilt. 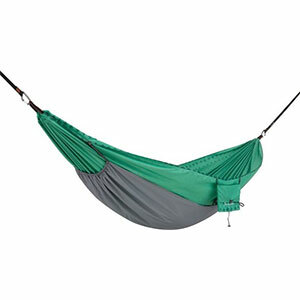 Temperature rating is accurate, and fits gathered end hammocks very well. This under quilt is perfect for gathered end hammocks. The temperature rating (20°F) seems spot on, as long as you use an appropriate top quilt. I've used this quilt for two years and it's holding up great. Thanks for the review and video of your under quilt, Alex. Excellent underquilt that I found right at its temperature rating. Perfect balance for warmth and weight/pack size. This is an excellent underquilt that I found right at its temperature rating. Its the perfect balance of warmth and weight/pack size. I use a small foam sit pad stuffed inside the foot box of the top quilt (or sleeping bag) to keep my feet warm since this is a partial underquilt. It covers from the shoulders down to mid thigh. A small down pack pillow and the sit pad keep the rest of me warm underneath. As with all down, keeping it dry is important and is the only drawback when using it. 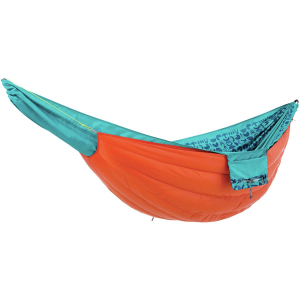 Although full length underquilts provide more coverage, they can be bulky in the pack and of course weigh a bit more than a 3/4 underquilt like the Phoenix. The coldest I have used this underquilt is 18°F, and my nose and face were the only thing that got cold that morning. 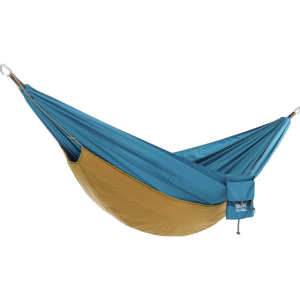 Hammockgear will make these to your specs. Need it a bit longer or wider? Want more down than spec? They can do these thing. You can pick from a wide variety of colors for each side and the type of fabric on each side. Depending on the time of year, expect between 2-8 weeks on delivery from the time you order it. The price is worth the quality and satisfaction you get from their products. Welcome to Trailspace, Reagan! Thanks for the review. Do you have any pictures of your Phoenix you could show others in your review? 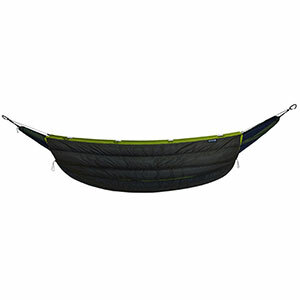 The Hammock Gear Phoenix 20 is not available from the stores we monitor.